I am a bag lover! It’s my Achilles heel and I normally try to stick to British designers so Mulberry is my number 1 love and have over the past 7 years got a nice little collection mainly of Bayswaters and messengers. I have also been drooling over Lamb 1887 by London Based Charlotte Lamb and her range of clutch bags but I am predicting my need for another clutch bag in the next year is about the same need as changing the car to a 2 seater convertible. As fab as these bags are totes, messengers or not, can they realistically hold nappies, food upright, Muslim squares, outfit changes, bribery source for Bella, bright jingling toy for baby, my purse, phone and lippy… All while being completely accessible and not dropping to the bottom of a bag? 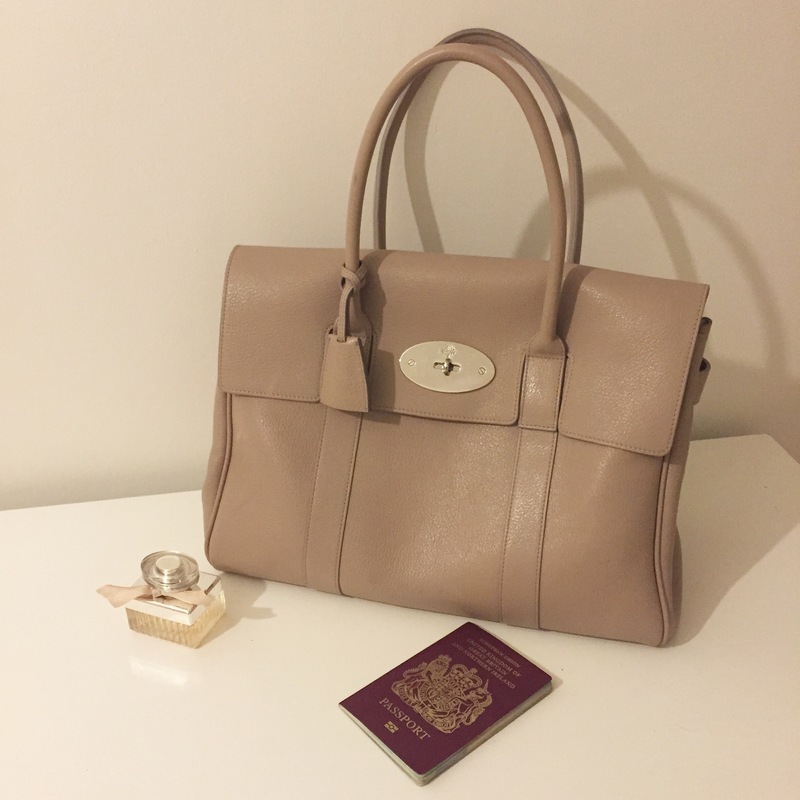 I made this mistake when pregnant with Bella… I’d got a Micheal Kors tote bag and thought it would be fine and I quickly realised that practicality is more stylish than a flustered mummy! I think sticking with neutrals is best to match any outfit and also means that if you are packing baby up with daddy for a hour the changing bag can’t be an excuse. As a baby changing bag will be used for at least one next year and if you choose right can be used for overnight stays too you should definitely look and shop around to find one perfect for you. 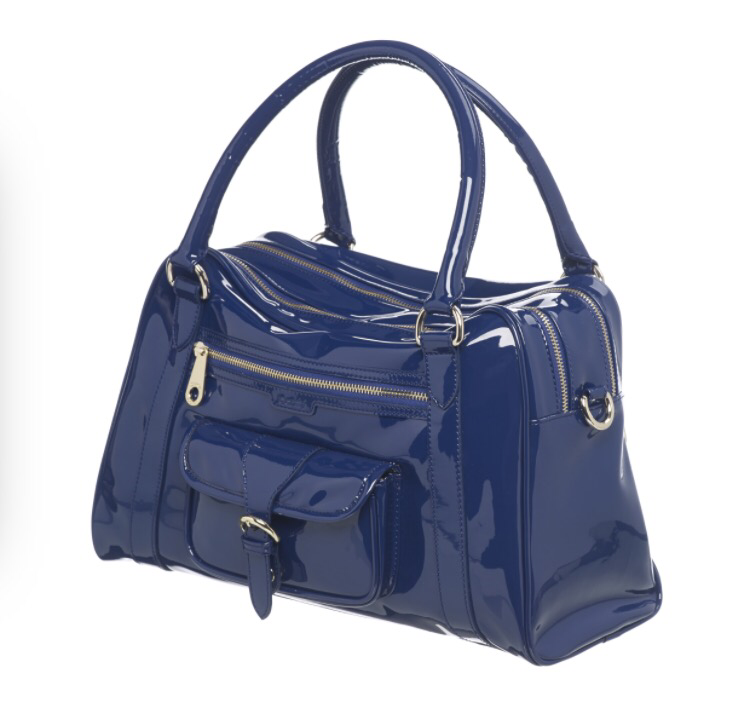 John Lewis stock some great options and have increased their range to include Storksak, Babymel and Séraphine and all these brands include bags that could pass as a regular handbag. iCandy has launched a range of nappy bags by ex-Mulberry designer Janet Collins that also was involved with designing the Alexa. I love the patent options as they add glamour to any outfit and are definitely made to stand out. My favourite bag from the iCandy range is the Verity, classic, black and patent with a removable strap so you don’t even need to change bag if going out without baby. 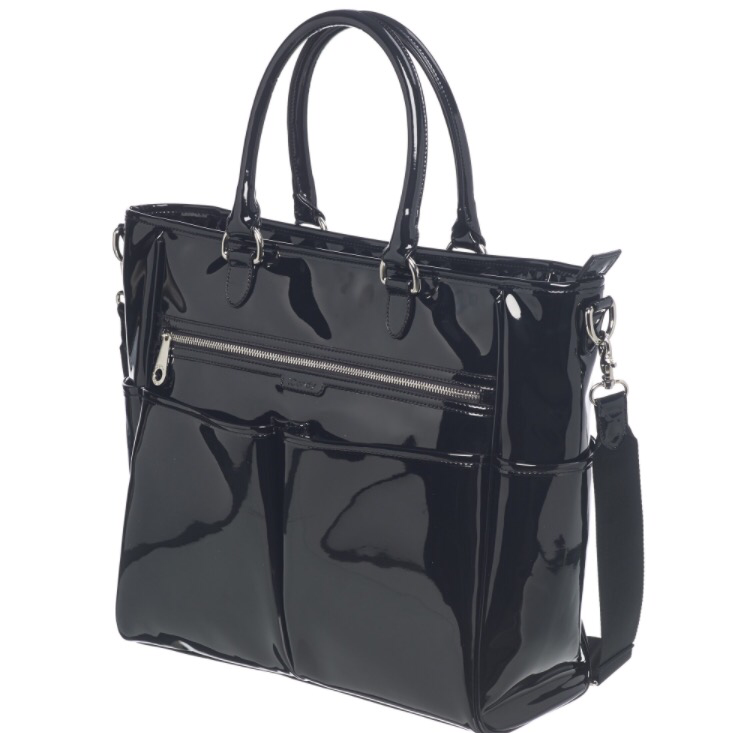 I think the Verity is a bag that can be used when you are back to work and look professional also. For any local ladies Eclipse Nursery Store Is my go to nursery store and stocks a range of the bags and it’s great to see and feel what you are purchasing rather than online… Be warned though if you are like me, due to their amazing range you might fall in love with another buggy your husband says you ‘don’t need’ (that’s debatable and a topic for another day). Another iCandy style that I love is the Emilia bag which is slightly bigger and also perfect for summer months as it comes in a choice of Cream or Navy. I have the iCandy Peach changing bag to go with my pram and it is now 2 years old what I have found is that the bags are durable as it was used for the year with Bella, I have since used it for nights away and it will be packed for the hospital too. It comes with great accessories including changing mat, bottle insulators and a little bag for toiletries. 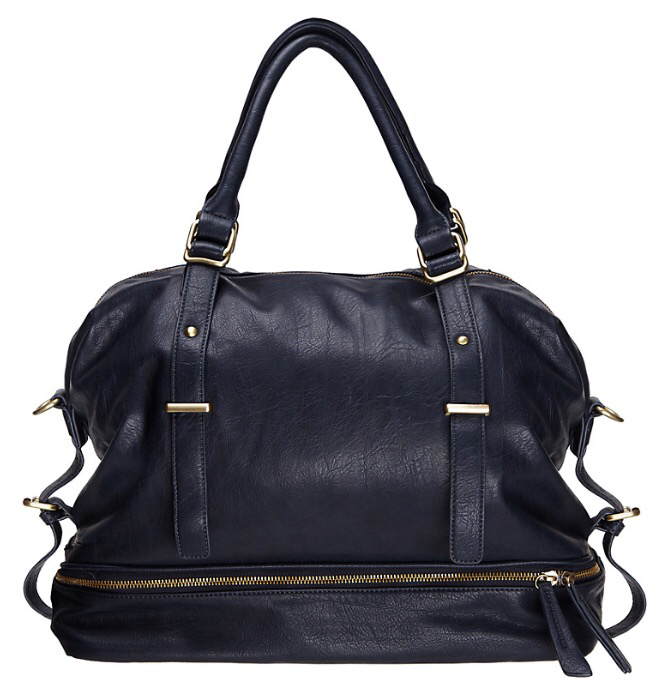 I love this bag but did find it very big, it now suits great for travelling and overnight stays. This time I choose the Marc Jacobs Eliza-Baby bag which like all things baby related the U.S are miles ahead of us so ordered it from the States and including postage it worked out cheaper than ordering from Harrods. 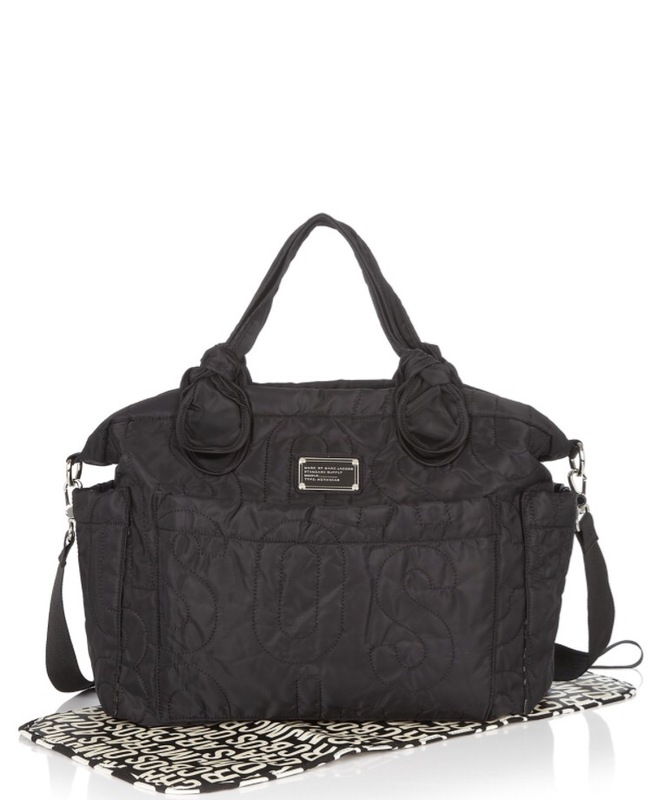 I liked this bag as with a toddler and newborn I wanted one with lots of compartments but deceiving in size, something washable as I will be carrying sippy cups and food for Bella and still stylish with an extendable strap. 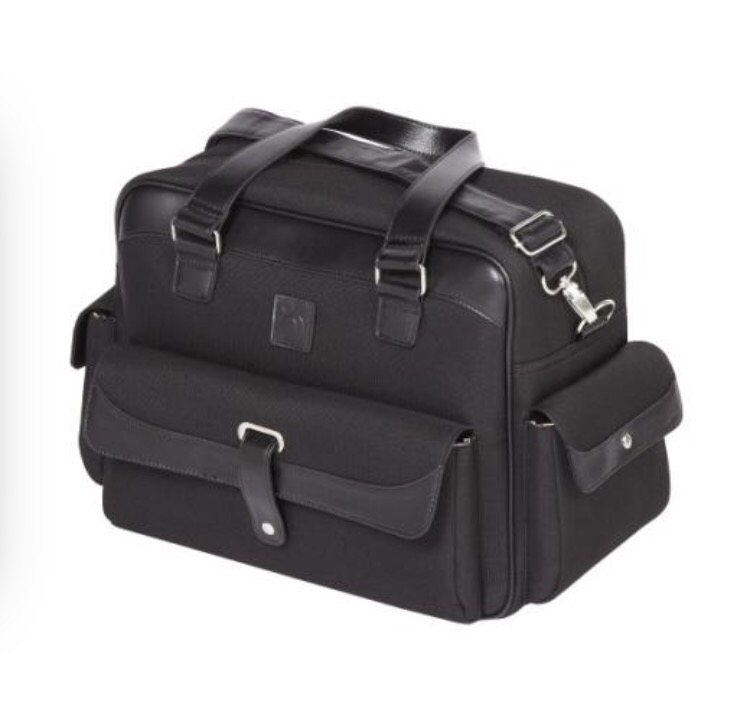 Nordstorm currently have 25% off this bag, post to the UK for reasonable rates and have a fabulous choice however be mindful of the customs charges and pay these in advance. I can’t say I don’t still have my eye on the iCandy Verity though… Watch this space! Marc Jacobs Eliz-a-baby with baby changing mat. Now to start and pack baby bag for the hospital and my bag too… Countdown is on and I will do a post on the essentials soon as it might help someone!